My Real-Life Social Media Success Story - The Let's Talk Dance Blog - Empowering Dancers To Create A Better Quality of Life! 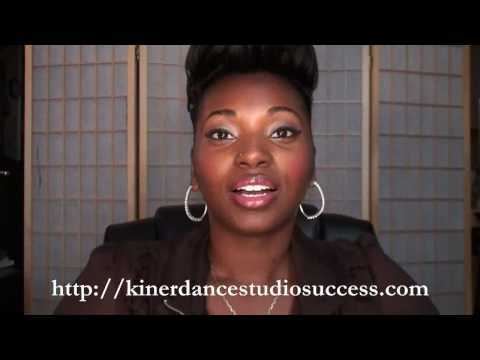 Yesterday, Day #19 in our 90-Day Social Media Success Challenge for Dance Studios, we made a huge announcement about our new website and social media resource center for dance studios, Kiner Dance Studio Success! Today, Day #20, I’m still feeling so much excitement about it (And a little exhaustion too. I haven’t slept much as we’ve been preparing for this launch.)! It’s been in the works for a long time, and to see it all finally come together, and be able to offer something to you, our readers, that’s never been done in the dance world before, is really rewarding. Just like many of you, when I first started my business, Kiner Enterprises Inc., three years ago, I struggled to find affordable methods of advertising and promoting my company’s services. I primarily relied on traditional forms of marketing i.e., mass mailings, flyer/postcard distribution, cold calls and e-mails, Google Adwords, and various online ads. These methods were very costly, and tiresome, and very limited in the scope of their true financial results for my business. I knew that I needed to promote and market my business, but I wasn’t sure how I could do it, and not break the bank. So I got involved in social media. A free and easy way for me to connect with current and potential customers, for free! I started this blog, and opened up Facebook, Twitter, Linkedin, and Myspace accounts, to get started. I read a lot of articles, listened, watched, did research, and through experience, and over time, I learned how to use social media effectively and successfully to grow my business, promote our services, and expand our brand. We went from a small, New York City Dance Instructor staffing agency, that not too many people knew about outside of the New York Metropolitan area, to a National, Dance Instructor Staffing and Social Media Coaching firm for dance studios and dance businesses. We launched the first ever online dance studio contest called, The America’s Best Dance Studio Contest, all about showcasing excellence in dance studios across America, which received national acclaim, and sponsorship from some of the biggest names in the dance industry. There were over 11,000 votes in the contest’s second year! And now, we’ve launched a new website, Kiner Dance Studio Success, the 1st online social media success resource center for dance studios! Wow, I honestly never imagined that I’d come this far back when I had approximately 3 followers on Twitter, and 5 Facebook fans! I’ve also had the pleasure of contributing to, and being featured on prominent blogs for dance, such as; Dance.com, Danceadvantage.net, The Grosh Backdrops and Drapery Blog, and the Backdrops Beautiful blog, to name a few. I’ve also recently contributed three articles, for members only, on DanceStudioOwner.com. All of this is because of successful social media relationship-building, brand-building, and strategic, valuable, content development. At this point, I feel blessed and honored to be able to give back, and now take what I’ve learned about social media, and share it with others. I’m humbled to now be able to help the many hard-working dance studio owners out there share what makes their studio unique, and help all of you to become more successful, through the use of social media. What an inspiring story, Ashani! There’s a lot of information out there about how to market using social media, and there’s a lot of debate about how effective it actually is. Unfortunately, there aren’t enough people writing stories like this. I have no doubt that it’s your open, genuine, giving personality that allows you to be so successful at social media marketing. People who are, find it easy and natural. People who are scared to come out from behind a logo and broadcast marketing, will find it very difficult, I think. Kudos to you for helping dance studio owners to achieve the success that you have. Jenise, I’m actually speechless right now! This means so much to me, especially coming from you. SO glad that we connected through social media. That is the true success story. Meeting great people like you! Thank you so much for this comment! I really appreciate it. Have a blessed day!